Welcome to Digital Digest! This week, we have double reviews, with our reviews of The Heathcliff and Dingbat Show and Teenage Mutant Ninja Turtles - The Complete Final Season (Season 10). Let's get going! Anybody who knows this website will know that, while we are fans of just about every sitcom out there, there is one particular show which is a huge favorite of this website... and no, it isn't one of the critically acclaimed series or one that can be seen on multiple TV stations multiple times a day, but rather a sitcom that aired in the late '70s and '80s about a non-traditional type of family. Of course, we're talking about Diff'rent Strokes! And Shout! 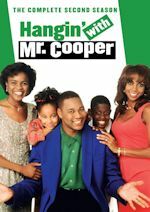 Factory is on the verge of releasing more episodes of this series on DVD on November 20, with their release of Diff'rent Strokes - The Complete Fourth Season. The three-disc set will come at a $29.93 MSRP. It is very rare that we finish up a sitcom that was abandoned over five years ago, but it looks as if we will with My Favorite Martian. It has been known for some time that MPI was planning a release for the third season, but we had not gotten a release date for it... until now. My Favorite Martian - The Complete Third Season will be released on October 30 at a $39.98 MSRP. Mill Creek is moving ahead with more of That '70s Show on Blu-ray in October when they release That '70s Show - Season Two (Blu-ray). The four-disc set (which oddly enough is one more disc than the series contained on DVD) will be released on October 16 at a $24.98 MSRP. Several years ago, Virgil Entertainment announced plans to release the '70s Saturday morning sitcom Big John, Little John. Unfortunately, there were many issues that popped up with the release and it was delayed several times, until eventually it just sort of faded off of the schedule. Now, it appears that Big John, Little John - The Complete Series is back on the schedule on October 2... but not from Virgil. Instead, it will be VCI Entertainment handling the release. Shout! Factory is releasing Mighty Morphin Power Rangers - Season 1, Volume 1 on Tuesday, but fans of the series won't have to wait long for the remainder of the first season. On November 20, Shout! continues with Mighty Morphin Power Rangers - Season 1, Volume 2. Finally, eOne is releasing The Abbott and Costello Show on DVD yet again... but this time in individual seasons. The first season of the series will be available on October 2 and a $39.98 MSRP. Of course, The Abbott and Costello Show - The Complete Series is still readily available on DVD. Tuesday (August 21) brings Mike & Molly - The Complete Second Season to DVD. We hope to have a review of this set soon. Shout! Factory has Mighty Morphin Power Rangers - Season 1, Volume 1 (review). CBS has more of Perry Mason with Perry Mason - Season 7, Volume 1 (review). Finally, ABC has Revenge - The Complete First Season, which we will review next weekend. The original Teenage Mutant Ninja Turtles are back for one final time! The tenth and final season brings all 8 epic episodes from the original series' last season on DVD from Lionsgate. Leonardo, Donatello, Michaelangelo, Raphael, Splinter, April are all back against the evil Lord Dregg and his minions. Determined to enslave mankind, Dregg will stop at nothing to win: causing a piece of the sun to crash into Earth, opening a giant portal to pull the planet into Dimension X, and even draining the life energy from the Teenage Mutant Ninja Turtles! Newbie Carter, who joined the Turtles last season, soon realizes that the only way to defeat Dregg (along with the return of Krang and Shredder) is to bring the Turtles' past selves to the present...doubling the Turtle power! But will they make it in time before Dregg's invasion is complete? Featuring time-warping serious Turtle muscle, season 10 is a totally tubular finale! We have all-new exclusive interviews with the show's artists and 2 BONUS never before released episodes from season five! Cowabunga! Starting with season four we started getting season releases. Season 4 set had 39 episodes and season 5 had 18 episodes. Season six had a total of 16 episodes on its set. Season seven had 27 episodes in four collectible "slices." Season eight only had 8 episodes, so we got that on a single disc and the same went true for season nine. Prior to that we were getting volume releases. Here is a recap: Volume 6 had the last 11 episodes from season three, plus the first episode of season four. 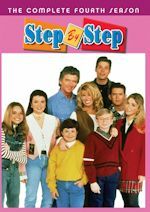 The third season had a total of 47 episodes, so they decided to split up that season into volumes, so volumes 3, 4, 5, and 6 covered season three. For season 2 there were just 13 episodes, so Lionsgate released that for volume two...so yes, technically the first two volumes were season sets. 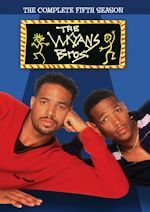 Season one had only 5 episodes, so that was on Volume 1, with four bonus episodes from the last season (season ten) actually. So do you have all of these? Hope you do dudes! 1. "The Return of Dregg" (23:34) - While the Turtles work on using fragments of the Vortex Crystal to stabilize their mutations, Lord Dregg plans to use the fragments to create another Vortex Crystal to power his Vortex Transporter. 2. "The Beginning of the End" (23:34) - While Raphael, Michelangelo, Donatello & Carter work on restoring Leonardo to his regular self, Mung steals all the plutonium from a power plant in order for Dregg to build a Plutonium Ray to turn Leonardo into a radioactive killer. 3. "The Power of Three" (23:27) - Lord Dregg teleports Shredder & Krang from Dimension X to the Dregnaught in order to learn more about the Turtles & Earth's weapons. Meanwhile, after permanently stabilizing his mutation, Carter finally leaves the Turtles & returns to college. 4. "A Turtle In Time" (23:26) - After draining the Turtles' life energy & Krang's intelligence, Dregg becomes a super-being, and plans to fire the Vortex Transporter at the Sun, bringing a piece of the Sun down to Earth. 5. Turtles To The Second Power" (23:27) - After re-energizing the present-day Turtles, the Turtles of the past have only 3 hours to get back to their time, or they will all cease to exist. 6. "Mobsters from Dimension X" (23:26) - A slimy amoeba-like mobster from Dimension X, known as the GlobFather, steals the Protein Computer. 7. "The Day The Earth Disappeared" (23:33) - Lord Dregg has managed to open a gigantic portal that is large enough to pull the entire Earth into Dimension X. While trying to figure out how to stop it, Leonardo, Donatello & Master Splinter are pulled through the portal, after Dregg turns the portal on them, sending each of them across dangerous alien dimensions. 8. "Divide and Conquer" (23:23) - Lord Dregg, using a morphing suit capable of instantly draining life-force from others, absorbs the power of five super-beings, and multiplies their combined power a hundred fold, becoming a God. He comes after the Turtles, who must travel to Dimension X and get Krang's android body from the destroyed Technodrome if they are to defeat him. The packaging has an outer box that holds a keepcase inside. It is very simple since it is a one-disc set that has just eight episodes, similar to the season nine set. 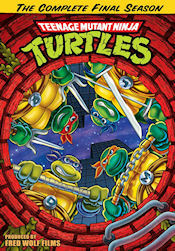 The cover art has the Turtles - Michaelangelo, Leonardo and Raphael - looking down a sewer hole. The color scheme is purple, with the sewer brick in red. The show logo is on the top, with "The Complete Final Season" mention all the way on the top and the "produced by Fred Wolf Films" all the way on the bottom. The back has info on the series and set, with a red outline box listing all eight episode titles and a yellow blob listing the Bonus Features. Radical! We also have nice artwork of the main four Turtles on the street. The cover and back of the case are exactly the same as the outer box, so no need to tell you what is on the case. When we open the case, we have the disc on the right panel. There is no artwork or anything on the panels itself, it is just a plain black background. The disc art has the turtles looking down the sewer hole (same as the cover art). All consistent from the previous set. Bodacious! The menu screen has been similar to since about season six. First, we get auto-trailers before the main menu appears with trailers for thinks like Power Rangers. The theme song is playing in the background, and it does loop, and the artwork style is similar to the box art with the red sewer hole. We also have video clips playing where the Turtles are on the cover art. The theme song is the new theme song that started in season eight. The menu options are: Play All Episodes, Episode Selection, Special Features. Episode Selection takes us to a submenu with episode #, title, and a screenshot from the episode. When we select any of these options, there is a cool transition. Gnarly! The video is on par with the other volumes, with dust and debris here and there and on par with previous recent seasons, especially season eight. The audio is also on par with the previous releases, not bad...and listenable. It's not remastered, but this is the best we have and it beats our taped VHS versions. The episodes are just over 23 minutes, so everything is unedited. The full one-minute opening theme is on every episode. We get 5 or 6 chapter stops per episode again. We also have some episodes having the original "CBS Action Zone" bumper that airs before the opening credits. Sensei Master Splinter likes! For special features, to recap previous seasons, seasons four and five had extras, but then season six had absolutely nothing! Then for the 25th anniversary set, we had a lot of extras for season seven. We got nothing for season eight and the same went true for season nine. To me, season nine was the point in time when the Turtles episodes start getting a bit weird, but season ten ends with the return of Shredder and Krang joining Lord Dregg. Anyway, we DO have extras on this final season set! We have some "Art of the Show" featurettes which has interviews with the team behind the animation art. First up we have Curt Walstead (Storyboard Artist) running 6:07. Then we have Paul Scarzo (Storyboard Conformist) running 6:39. And the final art of the show interview is with Scott Heming (Storyboard Conformist) running 7:08. And that's not all! We have two bonus episodes that have never been released. For some reason two season five episodes were never released on DVD. First up is "Once Upon a Time Machine" (22:06), where Hokum Hare and the Turtles hitch a ride on a time-traveling train to 2036. And then we have the one-hour primetime episode "Planet of the Turtleoids" (46:53), where after clashing with the mutant bull and mole duo Groundchuck and Dirtbag, the Turtles and their new enemies are taken to Shellri-La by an alien "Turtleoid" named Kerma, where our heroes must help defend his planet from a two-headed dragon named Herman the Horrible. It's finally great to have both of these on DVD! I strongly urge fans to buy this set to complete their collection. There are only eight episodes, so you could finish this set in a day. We also have some bonus features and fans will want this set even more because it has two never before on DVD episodes from season five! It's a must to have. The tone of the show became darker in season eight and it continues here with Lord Dregg, but Shredder and Krang return this season! So that was fun. The art style changed significantly in season eight and beyond...but it's still our original Turtles we know and long and you need to get this set dudes to finish your collection! Get ready for some kung-fu action! Finish this series for your DVD collection! Heathcliff returns to DVD--and actually steps back a little in time--with Warner Archive's release of The Heathcliff and Dingbat Show! Let's give a little bit of history here. In the '80s, DIC created the popular and memorable animated series Heathcliff and the Catillac Cats, based upon the comic strip by George Gately. That series has seen many DVD releases over the years and has been the one to gain most of the syndication exposure. But before that series, Ruby-Spears (a studio created by the two creators of Hanna-Barbera's Scooby-Doo, Where Are You?) gave Heathcliff a shot with a series called The Heathcliff and Dingbat Show. Like many other animated series of the era, though, Heathcliff didn't get his own show. He had to share the half hour with another character, in this one, Dingbat... a vampire dog who runs Odd Jobs, Inc., which will do any odd job out there. It only made it through one season before being replaced by the similar Heathcliff and Marmaduke (an established comic strip, or really comic panel, dog), but now Warner Archive has all 13 episodes of the first version of Heathcliff on DVD. With thirteen episodes, each containing four segments, that means that there are a total of 52 different segments in this set... far too many to go into great detail on any of them (and they're less than six minutes a piece anyway, so none of them really have time to develop much of a plot). 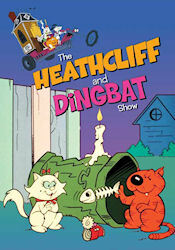 Each episode begins with a Dingbat segment, followed by a Heathcliff segment, then there is another Dingbat segment, followed by yet another Heathcliff segment... but most likely, you'll be more interested in the Heathcliff segments (in fact, the packaging of the set focuses more on the Heathcliff aspect). A few highlights of the Heathcliff segments involve him trying to outwit a dogcatcher in "Doggone Dogcatcher," a take on Jake and the Beanstalk in "Cat in the Beanstalk," Heathcliff doing anything and everything to "take the cake" in "Cake Flakes," Heathcliff terrorizing a milk factory in "The Great Milk Factory Fracas," Heathcliff becoming a rodeo star in "Rodeo Dough," Heathcliff using creative maneuvers to get the big fish in "The Big Fish Story," Heathcliff outsmarting a burglar in "The Watchcat," and creating more agitation for the milk man in "Milk Run Mayhem." The Dingbat segments are much more straightforward, and each one involves the characters constantly looking for a job, always managing to get one... and always managing to wreak havoc at work. These are all pretty straightforward, and the titles of the segments (the first and third of each episode) as shown in the episode list pretty much describe their "five minute jobs." The set has very basic packaging, in a standard double disc Amaray case. There is a photo of Heathcliff having a garbage can dinner with Sonja and a very small photo of the Dingbat characters at the top of the cover art. On the back, there is a description of the series along with a few episode snapshots. Inside the case. The discs inside the case have photos of Heathcliff and the series logo on a purple background. Disc 1 contains episodes 1-9 and Disc 2 contains episodes 10-13. There are some issues about the menus which are a true problem. The artwork on the menus is fine, with the main menu containing the a photo of Heathcliff with a paddle that has a mouse attached to it, and a photo of Dingbat and his gang at the top. The options on the main menu are Play All and Episodes. But the problem with the menus is that when you select Episodes, you can't actually choose to play any full episodes. All that you'll find on this menu are the four individual segments from each episode, and you can play them one at a time... without any opening credits or closing credits. You can, however, find these credits if you choose Play All from the main menu, as it will play each episode WITH the opening and closing credits intact. I'm not sure why they didn't include an option to just play entire episodes as originally broadcast without having to use the Play All option, but it is a bit annoying. Still, everything is included for all of the episodes, so it isn't a disaster. Chapters are placed at every segment if you select Play All from the main menu. The video and audio quality of the set is actually not too bad. In fact, compared to some of the other Heathcliff DVD releases out there, this one... the oldest one... looks reasonably nice on DVD, though not really perfect. The quality reminds you of pretty much any other series of the same era, with most of the defects being a result of the animation technology of the era. There are other video defects here and there, but they aren't really distracting. The audio is reasonably loud and clear, presented in the original mono. There are no subtitles or closed-captions. With this being a Warner Archive release, there are no special features. This is a decent set for Heathcliff fans out there, but if you are looking for something more along the lines of the more popular version of Heathcliff, you may find yourself a bit lost with this series. Personally, I enjoy watching the series because it is something a bit different... but the Catillac Cats version of the series is the one that I truly remember. Perhaps if this version had lasted longer, it would have been more memorable. I really enjoyed seeing the Heathcliff segments, but I do have to say that the Dingbat segments sort of became a little too repetitive a little too fast. The characters aren't bad, but I think that they could have done more with them besides giving them new jobs to mess up twice each episode. Of course, they did change that out with Marmaduke in the following season, so that did introduce a bit of a new element. In any event, Heathcliff fans should enjoy this set... and Dingbat fans (are there even any that exist?) will enjoy the Heathcliff segments. Home Theater Forum (www.hometheaterforum.com) - Regular readers may know our Click of the Week this week, as it has been referred to as a source for many of our news items time and time again. And there is a reason for that. The website, which is really a very broad website covering everything about home entertainment, has provided plenty of solid information and discussion about TV-on-DVD. But before we discuss that aspect of Home Theater Forum, we should talk about it a bit more broadly. This is a website for the true geeks of home entertainment, where everybody pays attention to every detail of everything when it comes to home entertainment. If you're really wanting to find out about the best equipment to make your home have the true theater experience, then you'll find everything that you need to find here. Let's be honest, though... most of our readers here are fans of classic TV series, particularly sitcoms. So while we may be interested in that aspect for our other home entertainment needs, what will really interest fans of our website is their forum for TV-on-DVD. 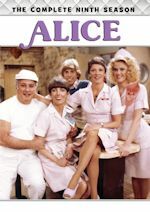 Here, you'll find very lively (and sometimes a bit too serious) discussion of every minor detail of every TV-on-DVD set which has ever existed. There are many incredibly knowledgable fans of the series over there, and they are eager to help fellow fans get the best experience with their home media library. You'll often find news and industry rumors (sometimes even direct from representatives of the studios) on the website... and usually it shows up here well before it shows up on other places on the internet. And of course, no such website would be complete without DVD reviews. Of course, we like to think that we do well with our DVD reviews, and we do with the objectives that we have when we cover our DVD reviews (focusing more on the content than technical details)... but it goes without saying that the technical details are important too, and fans do want to know that information. The DVD reviews on Home Theater Forum provide that for fans who are interested.